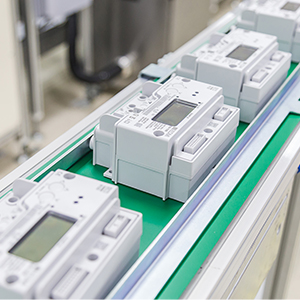 EDMI Limited, a global smart metering solutions leader, today announced a partnership with Arm to combine the best of breed smart metering solutions from EDMI with the power of Arm® Mbed™ OS (PSA™ certified) and Pelion™ IoT platform. EDMI Limited, a global smart metering solutions leader, will celebrate 40 years of operation on 7th December 2018. Today, its customers include some of the world’s largest energy companies, including distribution network operators, utilities and service providers, across 100 countries with over 11 million metering points and systems deployed globally. 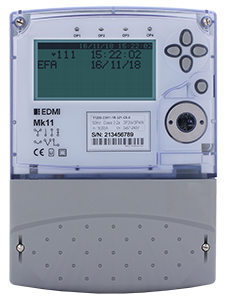 The Genius Mk11 is a high-precision power quality smart meter, designed for generation, transmission and large industrial users. Surpassing the class 0.2S requirement, it offers the highest level of metering system accuracy, with power quality features. Beginning with a range of 3G/LTE CAT-1 modems, EDMI is making strong strides into new cellular technology including LTE-M1 and LTE-NB1 / NBIoT. Watch the video that highlights our manufacturing capabilities and showcases the fully automated manufacturing lines recently launched, which enable seamless production of high quality meters at high volume, with minimum operator intervention required! Designed to deliver smart metering functionality ready for back office integration, while hiding the complexity of metering and metering communication technology. An innovative streetlight control cabinet solution was designed utilizing EDMI's MK10E smart meter integrated with SSN's RF Mesh technology, increasing operating efficiency and providing additional benefits. EDMI has developed a system to meet every need of a utility company: The Meter-Smart prepayment model developed for STS meters and the increasing demand, Software-Smart prepayment solutions for AMI meters. This system is among the world’s AMI solutions to be based on the latest HomePlug Green PHY (GP) PLC Technology from Qualcomm. EDMI supplied over 1 million smart meters since 2008 to just one customer in New Zealand and service more than 75% of the total contestable market. More than 80,000 EDMI three-phase smart meters have been installed in the Commercial and Industrial sector in Tanzania. 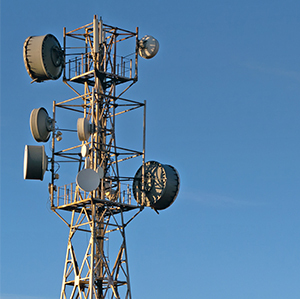 EDMI is designing, manufacturing and supplying 10 million communications hubs to the Communication Service Provider to the northern region of Great Britain. EDMI has deployed high-accuracy three-phase smart meters, read every 15 minutes, for high-rate demand monitoring. Since 1978, energy companies all over the world have relied on EDMI to deliver the flexibility and reliability they need and the innovative solutions they demand. Our experience and proven track record with millions of EDMI multi-functional smart meters intalled worldwide, mean that our products are tried and tested and you can trust EDMI to meet and exceed your expectations.